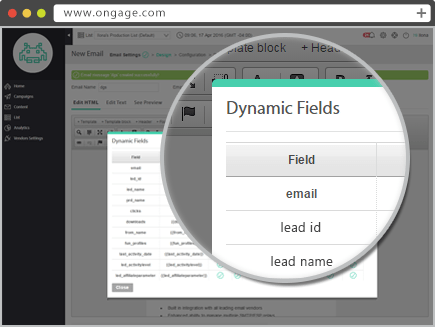 Customize email content using dynamic fields or feeds, such as HTML, RSS and XML, for populating emails with dynamic content. 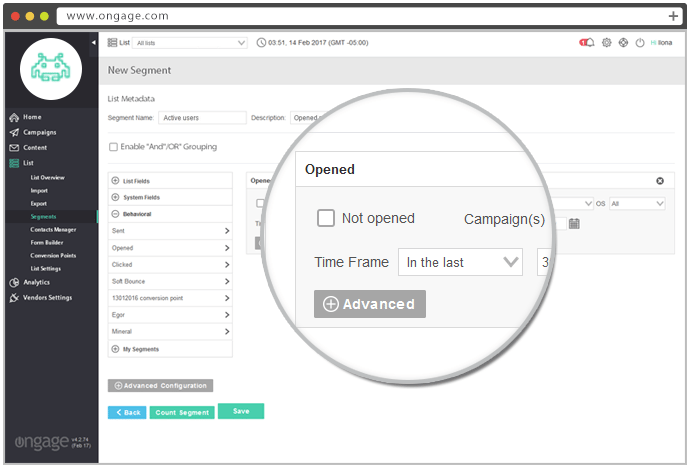 A robust multi-View In-depth analytics engine that provides high-resolution performance and delivery analysis. 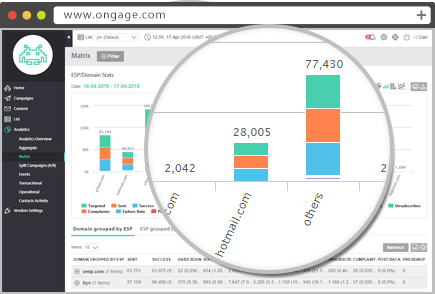 Get analytic views by campaign, member activity, recipient ISP domain, and more!